San Antonio! Get Ready for the seventh AoT SATX! 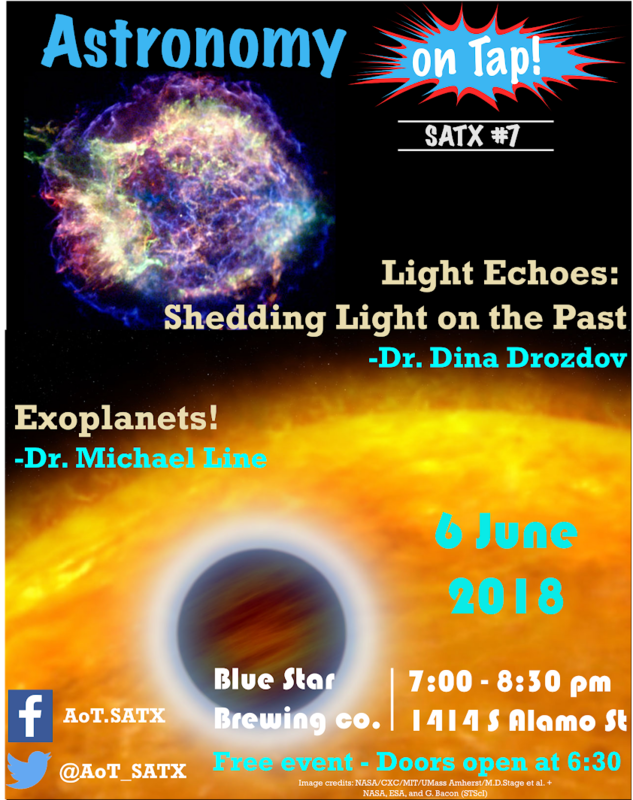 This month we will have Dr. Dina Drozdov from UTSA present “Light Echoes: Shedding Light on the Past” and Dr. Michael Line from Arizona State University talk about “Exoplanets: The Planets Way the Heck Out There”. AoT SATX #7 will be at Blue Star Brewing Co. (1414 S. Alamo St) on Wednesday June 6th, 2018. Presentations start at 7 pm, doors open at 6:30 pm.